Last week, I attended Blogger Bash in NYC – it was amazing! The event was split into smaller parties and sessions and I was lucky to be a part of the Element Associates Social Suite (#EAEvents) because Element Associates very generously donated sponsor space to Alex’s Lemonade Stand Foundation. Bloggers attending were the first to see the new Miii jewelry collection by Joseph Nogucci. 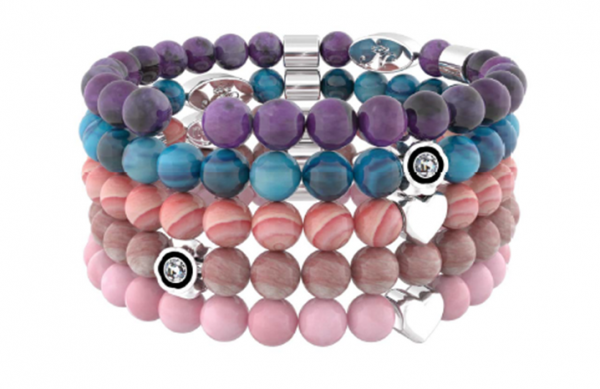 Miii bracelets are crafted from semiprecious stone beads and gleaming rhodium-plated magnets designed to bring all of your bracelets together in a perfect arm stack. 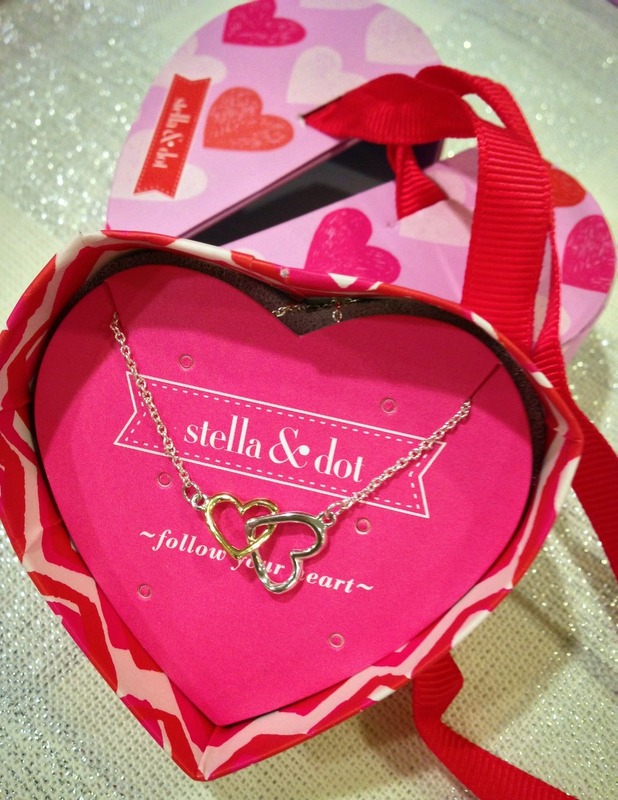 Like individual charms on a bracelet, each Miii commemorates a specific milestone or memory. Those in attendance may have also seen me wearing a Joseph Nogucci oragami paper plane necklace – now sold out. 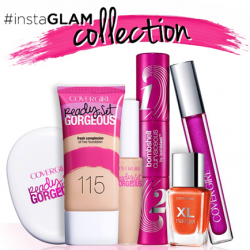 COVERGIRL provided beauty services as well as COVERGIRL Colorlicious Lip Gloss samples to the bloggers attending. Bloggers received samples of Washdrops, an award-winning green car wash solution. Washdrops uses only one bucket of water—no hose or rinse is required to get a beautiful shine. Washdrops is ideal for school and non-profit car wash fundraisers too! Best-selling author Lauren Willig was on hand to sign her new book, Midnight Manzanilla. I saw her table set up before the event but I’m bummed that I didn’t get a chance to meet her. That’s because the Alex’s Lemonade Stand was swamped and I didn’t have one spare second to leave – a good thing, truly. Best of all, #EAEvents also focused on social good! Smokey Bear, who celebrates his 70th Birthday in 2014, posed for photos and shared birthday cake. Did you know that 9 out of 10 wildfires are started by humans?Smokey Bear still plays a key role in educating the public that “Only YOU can prevent wildfires.” Wish Smokey a Happy Birthday by signing his online card. AutoTex Pink encouraged bloggers to help “Wipe Out Breast Cancer.” A donation is made from each purchase of AutoTex Pink wiper blades to the National Breast Cancer Foundation. AutoTex Pink wiper blades are available in pink or in black with a pink ribbon online at www.thecequentstore.com. 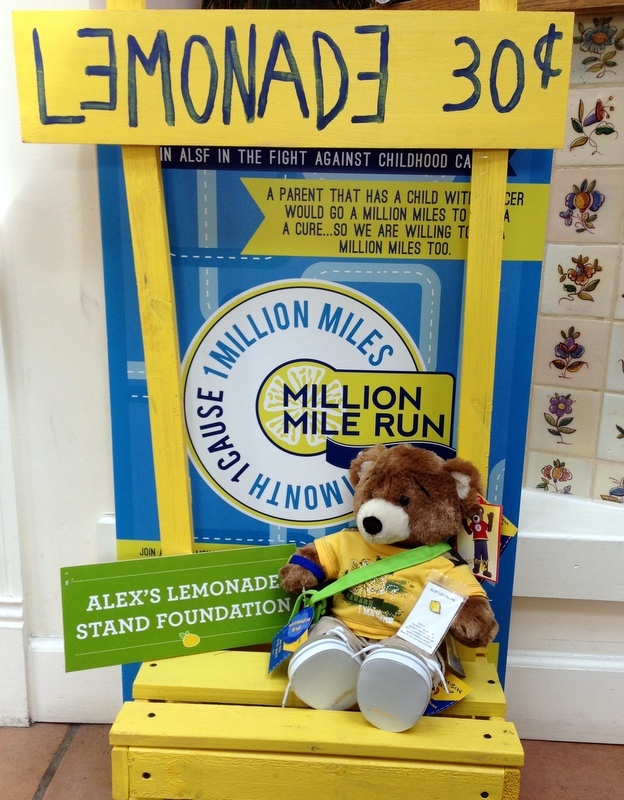 Alex’s Lemonade Stand Foundation served icy cold lemonade in exchange for donated tweets and instagrams. The generosity of the bloggers who stopped by to chat was simply inspiring. Not only did they share social media love but I also walked away with $32 in donations even though I didn’t ask once for cash donations. 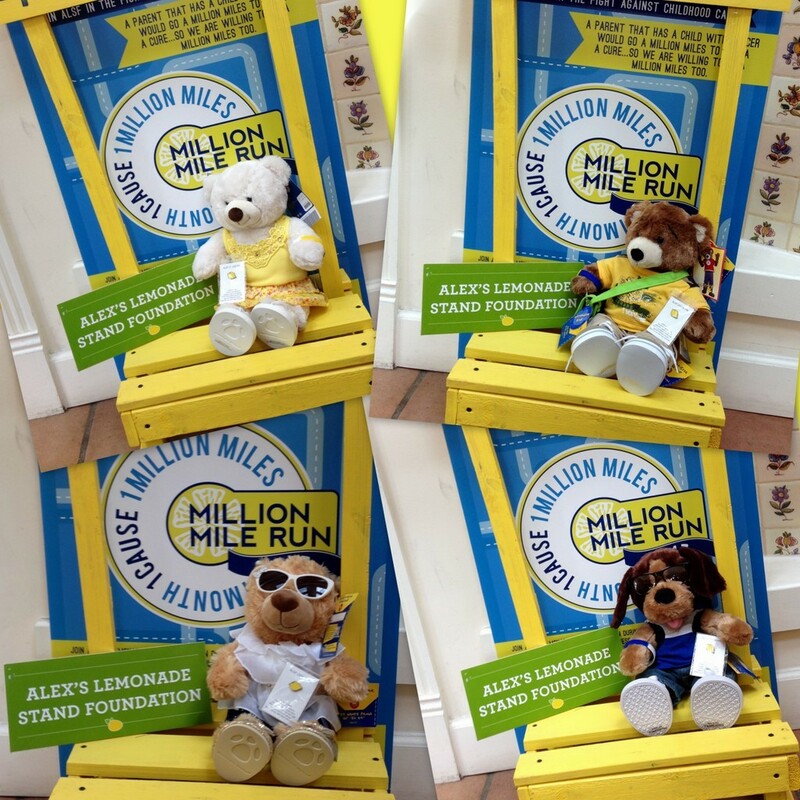 Best of all, several bloggers have already signed up to host ALSF stands of their own or joined Alex’s Million Mile – Run.Walk.Ride. happening this September, National Childhood Cancer Awareness Month. 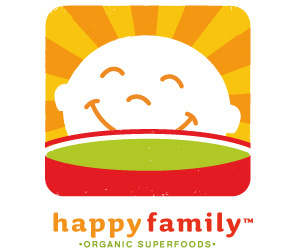 Special thanks to Sisy of Mamá Latina en Philly for stepping in to help in more ways than one! 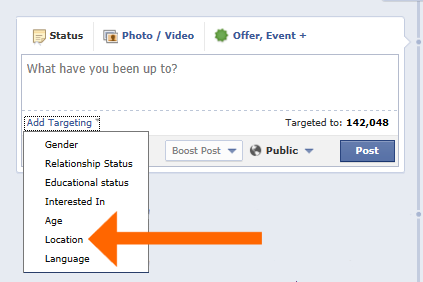 Did you know that you can geographically target Facebook posts on the Facebook pages you manage? You can also target by Gender, Relationship Status, Educational Status, Interested In, Age, Location, and Language. Here’s a quick tutorial on how to do geotarget your posts. First, let’s enable geotargeting in your settings. By default, this setting is usually turned off. Go to your Page Settings (click on “Edit Page” and choose “Edit Settings” from the drop-down menu.) Under the “General” tab, go to “Post Targeting and Privacy” and turn the feature on as shown below. Click on “Add Targeting” and select “Location”. Here you can also see the options to target posts by other audience characteristics. Once you “Choose Locations” you’ll be brought back to your post where you will see an estimate of how many people your post will reach. You can also choose to include additional targeting options at this point. You’re ready to go! 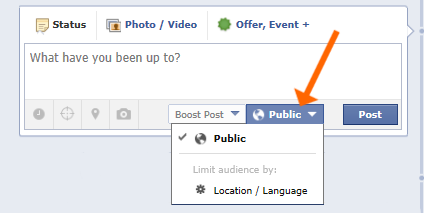 Hit “Post” – your post will now be targeted to the personal timelines of those in the regions you selected! Those not in your targeted regions won’t see the post in their timelines, however, should they visit your page/wall, they will be able to see it on your page. Should you want to prevent people outside of your targeted locations from seeing your post, even when they visit your page, you can gate the post. Gating posts allows you to control who is able to see your post. You can gate posts by Location or Language. You’re ready to go! Hit “Post” – your post will now be viewable to only those in the regions you selected! 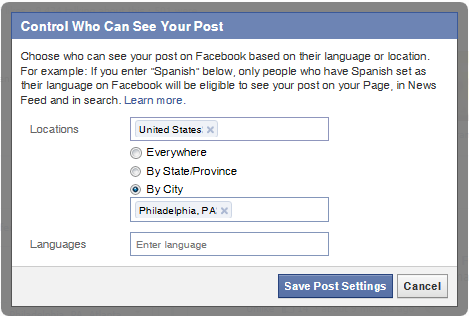 Those not in your targeted regions will not see your post, in their personal timelines or on your page/wall. Even if someone who can see it shares the post, only those within the selected locations will be able to see the shared post. Bucks County Indoor Fun with Kids! Here’s a comprehensive list of places to bounce, jump and climb indoors in Bucks County, PA! You’ll find inflatable play centers, open gyms, mini golf, rock climbing and more fun things to do indoors! 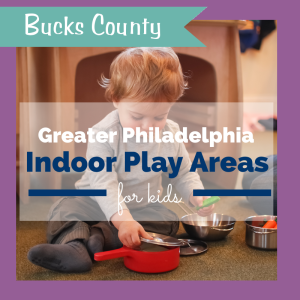 Indoor Play places and FUN THINGS to do with kids in Bucks County! Cost: $3.50 – $10. Each child admission includes 2 free adults. Indoor arcade with some coin operated rides – don’t forget about the dancing Chuck E! Live theatre, almost always a show for families happening but offerings will vary. Cost: Varies by piece. $15-25+ per piece. A walk-in paint-it-yourself ceramics studio. 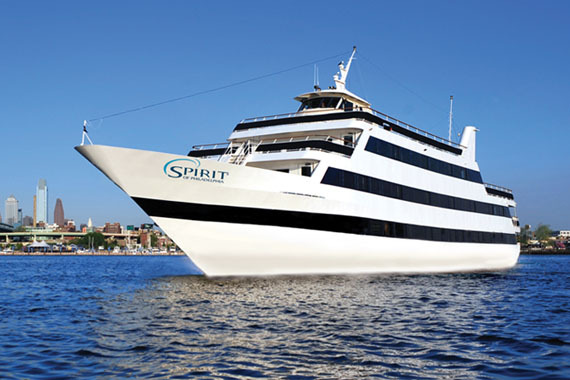 NO experience or reservations needed. Right in the middle of the mall on the lower level. Sit back and relax while the tots play! Indoor bounce center feauturing three rooms of bouncing along with pre-school playdates during the day, family nights and open bounces. Yes, it’s an outdoor amusement park, but did you know they occasionally have INDOOR dine-with-me experiences during the winter? No parking or park admission fee required since the park is closed! Has a small indoor play area with slide and offers free weekly Family Fun Nights on most Mondays. Has a small indoor play area with slide. Batting cages, arcade, soft playground for 7 & younger, food. Indoor black-lit, mini golf with monster theme and arcade. Closed on most Mondays. Has a small indoor play area with slide and offers free weekly Family Fun Nights on most Mondays and Morning Storytimes on most Wednesdays. Has a large indoor play area with 2 big slides and an eating area in the playroom. Also offers free wi-fi but Facebook is blocked at last check! Not exactly a play place but the upstairs eating area has a kids zone with kid size furniture and a TV and there are scheduled free movie nights and other kid activities (some free, some with a low fee) throughout the year. Also offers free wi-fi. Indoor soccer, basketball, football, field hockey, etc. Public indoor ice-skating. Call or check the website for public skating hours. Indoor arcade with some token operated rides and a token-free climbing structure with slide. Of course, don’t forget about the dancing Chuck E – animatronic and sometimes walking around! On Saturday mornings, throughout the school year, the theater shows children’s favorites, both classics and new. Ages: Children who can sit through a movie. The Bucks County Children’s Museum offers fun, interactive, and educationally based exhibits for children and families. Closed on Mondays. Of special note: the museum offers a Support Guide for all kids, including those with autism spectrum disorders. It is intended to be used prior to a visit to the museum and details each exhibit and area of the museum in an easy to understand storybook format. Last updated January 2014 – feel free to email or leave a comment with corrections or additions! Looking for more INDOOR fun? My blogging friends have you covered! Check out the link below for more indoor playgrounds, play places and activities in and around the Philadelphia area. Posted on January 16, 2014 September 30, 2014 Categories Life, Misc10 Comments on Bucks County Indoor Fun with Kids! What do you do with old stuff you no longer need or want? Hopefully you donate it! Lucky me, I have a Goodwill that’s walking distance, but even more conveniently it has a drive-through donation center. Drive up and the workers grab your stuff! You don’t even need to get out of your car! So easy! Did you know that donating one bag of clothing and one box of books can equal up to 2.3 hours of on-the-job training for someone in your community? Add to that a used lamp, a dusty computer and perhaps a box of DVDs and CDs, and that number nearly doubles to 5.2 hours. Calculate your own donation impact here! Goodwill’s mission is to provide job training programs, employment placement services and other community-based programs for people who have disabilities, lack education or job experience, or face other challenges to finding employment. In fact, Goodwill is the leading nonprofit provider of job training programs and career services in the United States and Canada! But if you’re only donating to your local Goodwill, you’re missing out on half the fun! I can’t help but take a peek at what’s in stock after making a donation! 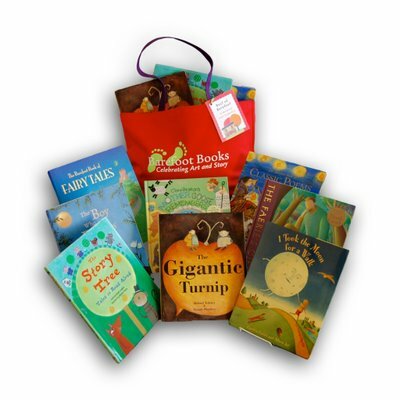 I’ve scored lots of books and clothes for the little guy and myself (interview suits for less than $10 each! ), and other odds and ends. And if you’re feeling creative, check out these crafty projects you can try by upcycling Goodwill finds! Did you know that September is Childhood Cancer Awareness Month? 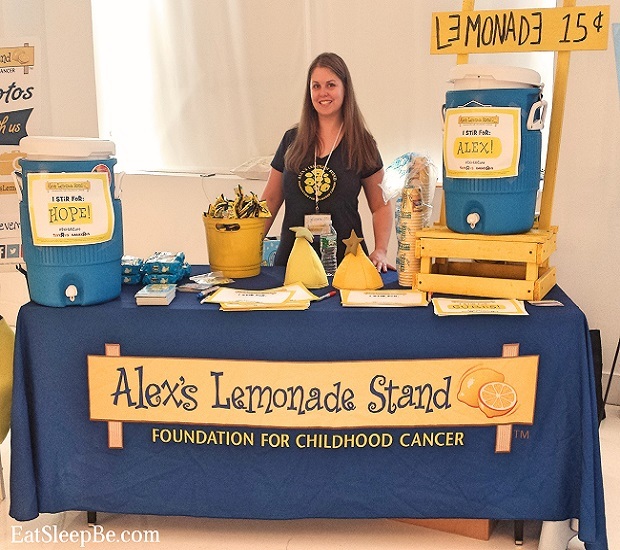 In an effort to raise the profile of childhood cancer this month, I’ve teamed up with a group of friends and bloggers from the Delaware Valley Area for Alex’s Lemonade Stand Foundation’s inaugural Million Mile Run. Together we are aiming to collectively walk 1000 miles during the month of September to raise awareness as well as raise as much money as we can to help fund childhood cancer research. Thanks to several generous sponsors, we are also raffling off a few great prizes!!! Find us at one of these events to buy a raffle ticket or DONATE ONLINE RIGHT NOW and get 10 entries! After you donate, simply let us know by filling out the Rafflecopter form below! 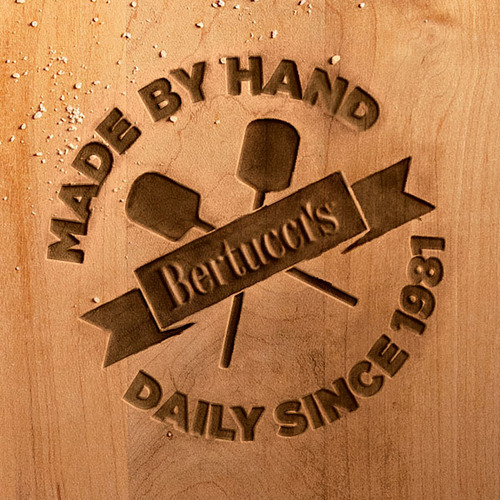 Posted on September 15, 2013 March 30, 2014 Categories Giveaways, Life, Regional EventsTags Alex's Lemonade Stand Foundation, Barefoot Books, Bertucci's, Build-a-Bear, fundraising, Happy Family, Spirit of Philadelphia, Stella and DotLeave a comment on Help Fight Childhood Cancer!